I’m very sure I’m not the only one paying $99 a year for unlimited 2-day shipping. I throw so much of my money at Amazon, my house gets multiple deliveries almost every day. I’m sure my family has grown sick of the doorbell constantly ringing. We all know that getting a Prime membership with Amazon.com pays for itself after a few purchases. Yes, you know you get free two-day shipping, you know you get Amazon music and free Kindle books. 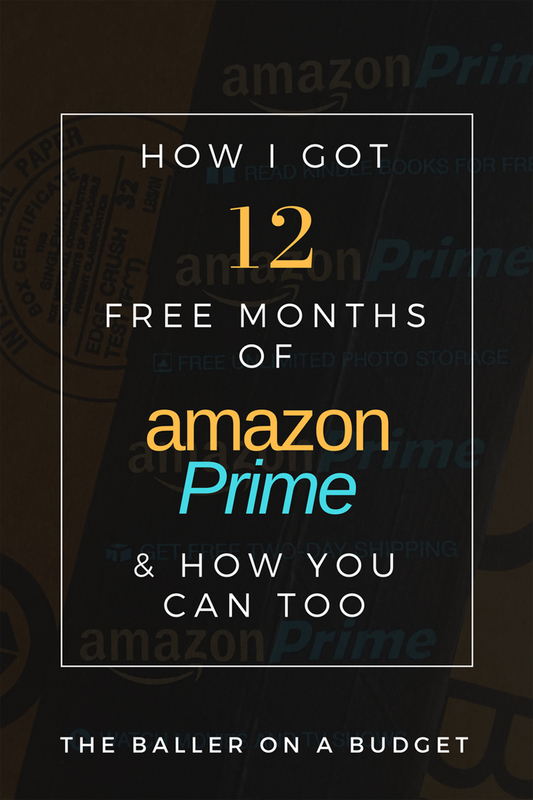 But did you know that Amazon can actually give you free months of Prime? YES, IT’S A THING, AND IT EXISTS. The truth is, as an Amazon Prime customer, you literally pay a premium to get your items delivered to your door within those two days. On time. Well, what happens when your package is late? My fellow Ballers, you can contact Customer Service and complain (just do it politely!). You can let them know that your package is late, and request a free one-month extension of Amazon Prime. Amazon doesn’t openly flaunt this, but your Prime membership guarantees accelerated delivery. And according to their fine print, if you are a Prime member and don’t receive a delivery on time, you’re eligible for a free one-month extension of your Prime membership. UP TO 12 TIMES FOR AN ANNUAL MEMBERSHIP. That’s practically doubling your membership! Since Amazon tends to remain quiet about this policy, you must contact Customer Service, since Amazon won’t automatically extend your membership when a package is late. Use it! Trust me, I’ve used it several times this year since I’ve found out, and it is an absolute game-changer. Read the Amazon Prime delivery policy here. Existing Amazon Prime members, do you feel better about the $99 you spent? Tell us in the comments! Liked this post? Subscribe to my newsletter below to receive my posts in your email!